One thing I notice in some wash day tutorials (and I caught myself doing as well) is playing duck and dodge with water -- getting the hair wet just enough to apply co-washing or shampoo products. Wash day is supposed to be a hydrating experience for your hair, delivered not just through products, but through the water we use as well. Instead of just jetting under the water once to wet my hair, I began standing in the shower for about 2 minutes just letting the water run through my hair, and squeezing it gently into the sections of my hair that tend to be lower porosity (hey crown and front half). This allows for the product that was on my hair to begin running down the drain, and helps my strands take in water, hang a little looser, and glide past each other a little easier in the detangling process. Speaking of detangling, I'm a firm believer in not having to fight with your products to make them work. If I can't get it poppin' with very minimal to no adjustments, I won't do it. Like the meme says, if you have to force it -- relationships, ponytails, yoga poses, hair products, just let it go. On the other side of that coin, if you've found a co-washing, shampoo, or other cleansing product that works ridiculously well, ride that on into the sunset. Another way to save major drama on wash day is to hone in on that one product that can deliver it all -- clean hair and scalp, super slip for detangling, hydrating, smoothing, and just all-around awesome. For me, that co-washing product is Be Kekoa Be Clean, which works so ridiculously well I just can't be bothered with anything else. Yes, there are other co-washes and conditioners that are "cool" or "good", but they're not great. With Be Clean, I have enough slip to detangle and cleanse in record time, and my results are amazing... Every. Single. Time. Oh, and don't let me get my Eternally In Amber comb in the mix, because then I'm detangling my entire head in single digit time (less than 10 minutes). When it's time to shampoo, Be Kekoa Be Clair, tgin Moisture Rich Sulfate Free Shampoo, and Ouidad Superfruit Renewal Clarifying Cream Shampoo are my go-tos, because they deeply cleanse and remove buildup without turning my hair into a crispy, matted, fuzzball. Why do I ride so hard for Be Clean? Read my review here. 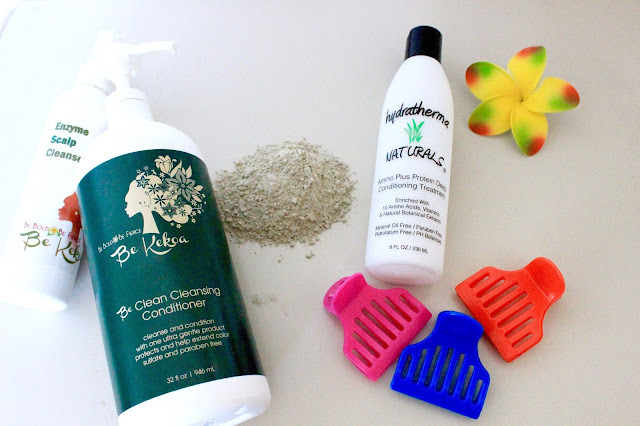 See Be Kekoa Be Clean + Be Clair in action! Wash day demo here. Even if you wash every 3-4 days like I do (which in and of itself help reduce wash day terror), it's still very important to maintain internal hydration via daily refreshing or moisturizing. You don't have to wet down your hair completely every day, that's overkill and can lead to hygral fatigue. Depending on your length, texture, and style, hydrating via a light spritz or buttercream, and moisturizing with a few drops of oil could be all you need. Because I prep my hair at night, I moisturize with a hydrating, water-based butter cream (like tgin Butter Cream Daily Moisturizer, Eden BodyWorks Kids Coco Shea Berry Smoothing Cream, Hydratherma Naturals Aloe Curl Enhancing Twisting Cream, Soultanicals Fluffalicious Curl Nutricious, Honey's Handmade Macadamia & Avocado Salted Caramel Custard etc.). After that, I seal with a little coconut, jojoba, or argan oil, concentrating on my ends. Then I follow my nighttime routine, and boom! Aside from keeping hair from drying out, maintaining hydration in the days to come means that when wash day rolls around, hair is less tangled, less rough, and easier to work with. The end result? Less breakage and hairfall. 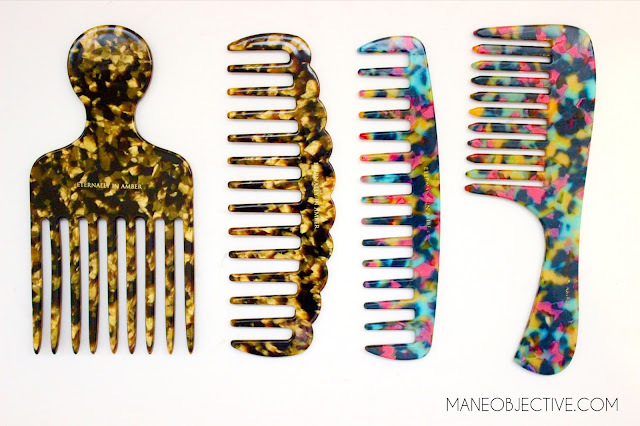 Aren't these combs just GAWWWJUS? I mentioned Eternally In Amber combs a little earlier as my little detangling ace in the hole. Having the right tools by your side is everything when it comes to making wash day a breeze. Since detangling is the most time consuming part of wash day, and can potentially cause the most damage, having the right tools in your arsenal will help make wash day easier and reduce breaking, hairfall, and damage to your strands. On days when I'm pressed for time, I reach for my Eternally In Amber Rainbow Wide Tooth Comb to detangle and remove shed hair in a few minutes time. If I'm not ready to comb detangle, but need a speedy boost, I reach for latex gloves. You don't necessarily have to adopt these two, but I definitely encourage you to find the right tools that work for your hair type and wash day regimen. 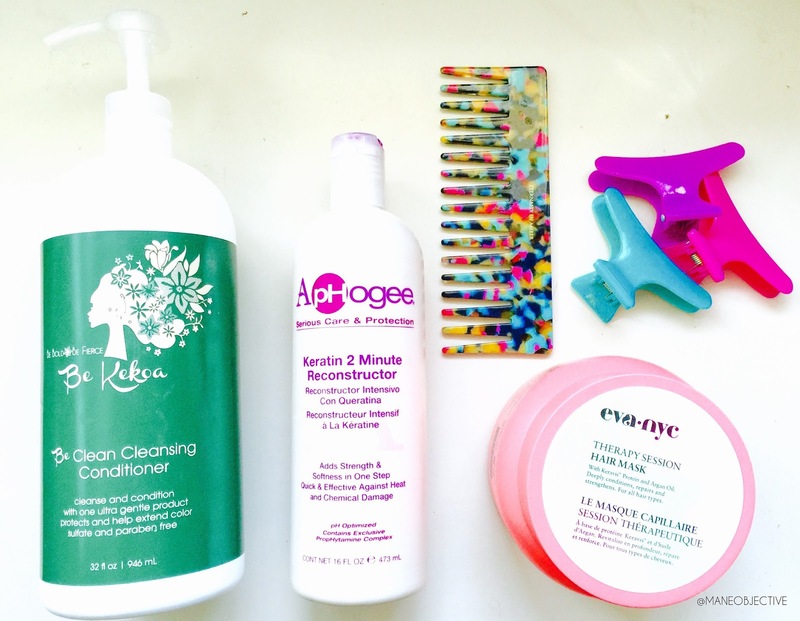 Read more about detangling hacks here! If you've ever gotten a little lax with your trims, then you know why this is important. As our hair gets older, the ends tend to weather and tangle which can lead to a rather hellish time with detangling. To keep wash day easy and breezy, stay on top of your trim schedule. I'm not saying you need to trim your ends every 4-6 weeks, or even seasonally. You know your hair, and know when it's time to show it some TLC with a trim. Just stay on top of that, and you'll be just fine. I hope you found these 4 tips helpful! What hacks will you be adopting to make wash day a little less dramatic? Let me know in the comments below (after the "You Might Also Like" section)!